Hello, and welcome to my business page my name is Alan. I am offering my skills as a handyman for jobs inside and outside your home or office in Norwich and local surrounding towns located North Norfolk, I have been taught many of my skills by my father who was a builder by trade and have been doing home DIY and repairs for 17 years, i am reliable and trustworthy and always carry Photo ID . I carry out quite a wide variety of home-related jobs. Some typical jobs I do are internal painting and decorating; Exterior paint work, moving electric wall switches and sockets, patching and repairing plaster, building shelving, fitting kitchen cabinets, repair creaking chipboard floorboards etc. Plumbing jobs I do are replacing taps in bathroom or kitchen, plumbing in washing machines and dishwasher, changing or moving radiators. Painting radiators, attending to leaking burst water pipes, moving existing pipe work in copper and plastic, replacing lavatory cisterns, unblocking drain’s and replacing shower mixer taps. Fitting a shower screen or shower curtain, resealing around a bath. 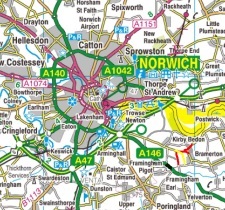 Generally, I will and can do most jobs around your home so please do call today, 07940-722169 or send me a message from this page if you are in the Norwich or surrounding towns of North Norfolk. “I always carry photo ID so you know it's me!"